Today in Singapore, the International Chamber of Shipping (ICS), the Asian Shipowners’ Association (ASA) and the European Community Shipowners’ Associations (ECSA) signed a joint memorandum of understanding. Speaking in Istanbul, Simon Bennett, Deputy Secretary General of the International Chamber of Shipping (ICS) warned today that avoiding overcapacity and unsustainably low freight rates is still a major challenge ten years after the massive downturn of 2008. Addressing an audience of shipowners and operators at the Global Maritime Summit 2019, organised in conjunction with the Turkish Chamber of Shipping, Mr Bennett acknowledged that individual operators would legitimately make their own individual business decisions regarding new tonnage. KVH Industries, Inc., (Nasdaq: KVHI), a leader in global mobile connectivity, announced today that Seaspan, one of the world’s largest container ship operators, completed the implementation of KVH mini-VSAT Broadband connectivity for all 107 managed vessels in its global container ship fleet. Seaspan selected KVH’s TracPhone V7-HTS/AgilePlans and KVH’s TracPhone V11-IP for the vessels. The International Chamber of Shipping (ICS), which represents the global shipping industry, is very concerned by reports that a merchant ship, the Palau-flagged tanker ‘Elhiblu 1’, had been taken over by migrants rescued in the Mediterranean Sea, reportedly because the ship was going to return the some 100 rescued persons to Libya. ICS is still establishing the details of the ongoing incident, but welcomes initial reports that the Maltese authorities have taken action to ensure that the situation is safely resolved. 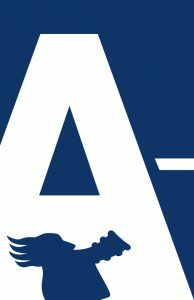 It is the first time a ship manager has partnered with a multinational computer software company to implement a global LMS solution for its entire eLearning courses. This cutting edge Web and App-based eLearning platform enables seafarers to access and complete their training assignments at their own pace and even without having network connectivity. Columbia’s LMS enables a new learner experience by harmonising the training and courses for seafarers and fleet wide activities worldwide. The new system can be used at the seafarers’ convenience and from any location: office, onboard vessels, at their homes, or even when travelling. Seafarers can now complete interactive courses using computers or mobile devices to download the courses, generate certificates after successful completion of the relevant test, collect points and badges, post comments and questions in dedicated forums, participate in webinars, attend virtual classrooms and also access virtual reality content among many other features. All Columbia’s seafarers now have access to the platform and can benefit from a large catalogue of interactive and engaging courses. 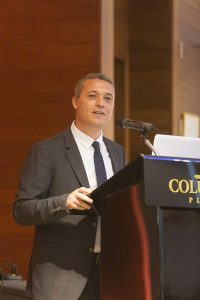 The International Chamber of Shipping (ICS) has welcomed the decision in principle by the UN IMO that safety or operational concerns about the quality of low sulphur fuels may, in exceptional circumstances, be a valid reason for shipowners to be issued with a Fuel Oil Non Availability Report (FONAR) when the IMO global sulphur cap, requiring fuels to have a sulphur content of 0.5% or less, comes into full effect on 1 January 2020. However, ICS is warning shipowners that this decision by an IMO Sub Committee last week should not in any way be regarded as a ‘free pass’ either to use or carry non-complaint fuel. 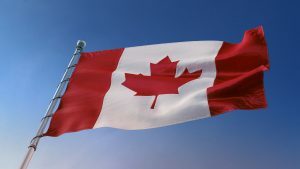 The Canadian Senate is giving consideration to legislation that would have the effect of establishing a moratorium on the shipment of crude oil in the waters of Northern British Columbia (Bill C-48: An Act respecting the regulation of vessels that transport crude oil or persistent oil to or from ports or marine installations located along British Columbia’s north coast). The International Chamber of Shipping (ICS), representing the world’s national shipowners’ associations and 80% of the world merchant fleet, has voiced deep concern about this proposed legislation which it says will interfere with international maritime trade. 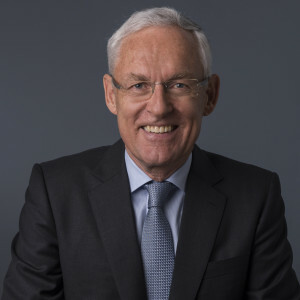 Mr Poulsson was speaking following the ICS Board meeting in London last week, attended by senior representatives of the world’s national shipowners’ associations. As the 1 January 2020 deadline for the sulphur cap approaches, ICS members reviewed progress in persuading the UN International Maritime Organization (IMO) to take measures to address expected implementation problems. This includes outstanding safety and fuel compatibility issues associated with the use of new 0.5% sulphur blends and continuing uncertainty over the availability of compliant fuels in every port worldwide, a particular challenge for tramp trades. 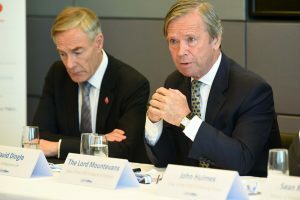 The ICS Board concluded that it will be vital for the IMO Marine Environment Protection Committee to complete this work at its meeting in May 2019, as shipowners begin ordering compliant fuels. The Swedish Club is pleased to report that on January 23, 2019, S&P Global Ratings raised its insurer financial strength and issuer credit ratings on The Swedish Club to A- with stable outlook. S&P reported that through disciplined underwriting and strong risk controls The Swedish Club has continued to record combined ratios close to 100% despite testing conditions in its main markets. It believes that these improvements, combined with a sturdy operating performance, should enable the Club’s capital position to remain resilient to market challenges over the next 24 months. Dr Lam Pin Min, Senior Minister of State for Transport and Health, announced two initiatives for the maritime industry at the Singapore Shipping Association’s (SSA) Annual Lunar New Year Cocktail Reception yesterday evening. The two initiatives, the Singapore War Risks Insurance Conditions (SWRIC) and the development of an inter-operability framework for electronic trade documents for the maritime and trade industries, will strengthen Singapore’s standing as a leading global maritime hub. 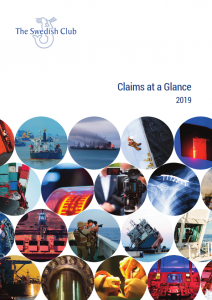 The Swedish Club has launched its new edition of Claims at a Glance, a whistle-stop tour of cases and statistics taken from its experiences in Loss Prevention over the last three years. Claims at a Glance offers the Club’s own perspective on some of the real-life cases it has recently dealt with and provides updates on some of the Club’s key Loss Prevention publications from the last three years. It makes interesting reading: in the time period studied the report finds that a pilot is on board ship during 30% of all collisions; 66% of all contacts and 58% of all groundings. It reports that 55% of all auxiliary engine claims occur within the first 1,000 hours of overhaul; and since the last report, you are now more likely to suffer a slip or fall on a bulk carrier than a container vessel or a tanker. For the fourth year in succession The Swedish Club has announced a zero per cent general increase for the forthcoming P&I year. The decision was made by the Club’s board in consideration of the general market view that premiums are not in proportion with expected claims outcome. 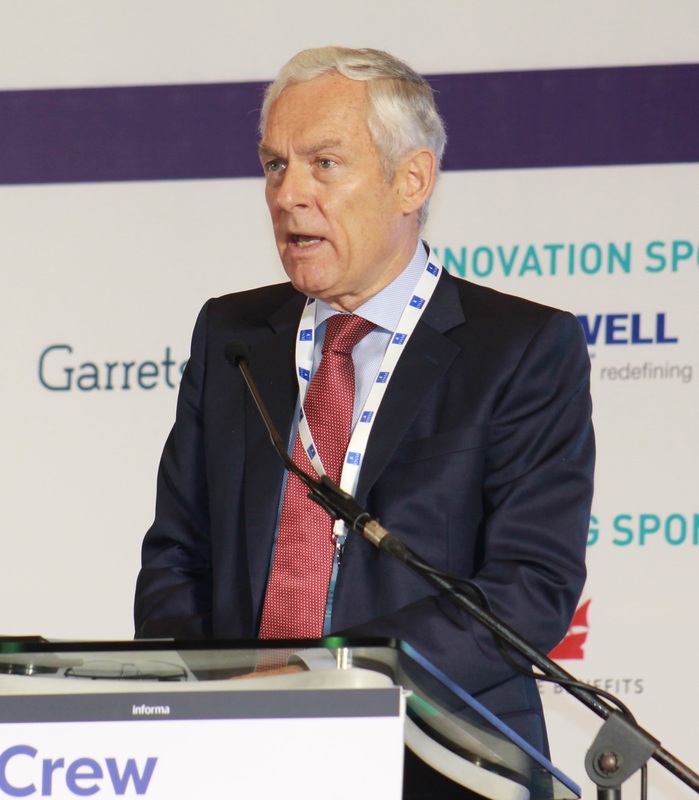 Speaking in Manila, the Chairman of the International Chamber of Shipping (ICS), Esben Poulsson, has called for a comprehensive revision of the IMO STCW Convention which governs global standards for the training and certification of around two million merchant seafarers. 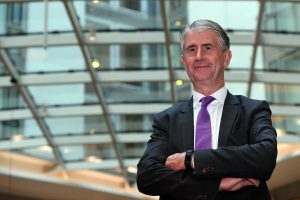 KVH Videotel introduced a new training package, “Seafarers Mental Health and Wellbeing,” yesterday during the 5th Annual International Shipowning & Shipmanagement Summit in London, and announced that the package will be available free of charge throughout the industry due to the critical importance of the topic. The programme was produced in association with the International Seafarers Welfare and Assistance Network (ISWAN) and comprises a short video, facilitator notes, and information booklets from ISWAN on mental health issues at sea. To obtain “Seafarers Mental Health and Wellbeing,” please visit videotel.com/seafarerwellbeing. 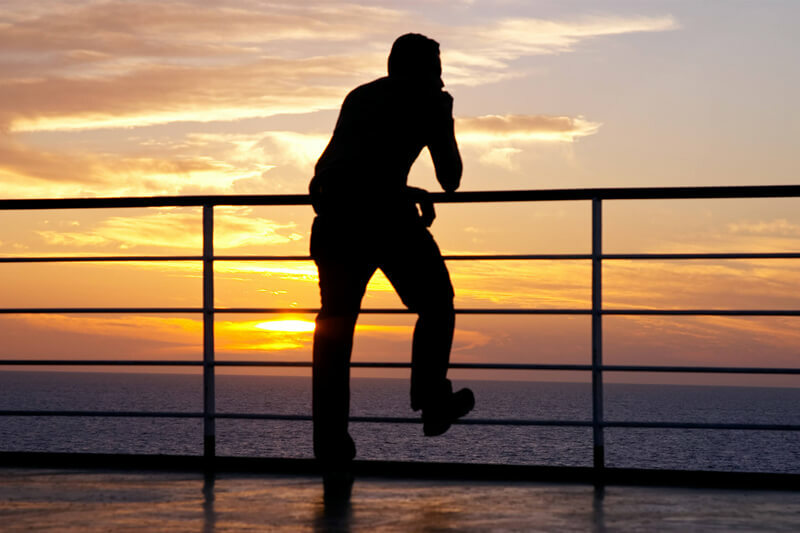 If left unaddressed, seafarer’s stress can result in danger to one’s self by way of lowered morale, increased human error, lifestyle illnesses, decreased productivity, burnout, and mental health issues. “Seafarers Mental Health and Wellbeing” focuses on what seafarers can do to cope with the challenges but also to take advantage of the many opportunities onboard. It underlines the importance of rest, diet, team activities, and maintaining good relationships. Talking to a trusted person onboard ship may help, and there is also help available outside the ship such as the 24/7 multilingual helpline and chat service at SeafarerHelp.org, as well as the work of port-based organisations such as Mission to Seafarers. ISWAN’s brochures are being distributed as part of this training package, available as downloads from the dedicated KVH Videotel website. In addition, KVH Videotel is providing brief facilitator notes to assist those who will use this programme to run training sessions on vessels. The International Chamber of Shipping (ICS) has recently published a new edition of its ‘Guidance for the Preparation and Implementation of Garbage Management Plans as Required by MARPOL Annex V’. 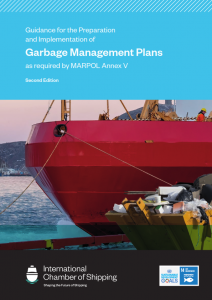 This second edition is intended to help shipping companies comply with the latest requirements of the IMO regulation regarding treatment and disposal of garbage from ships. 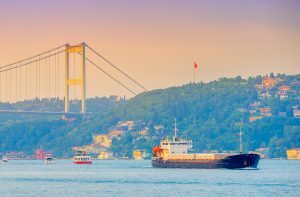 The global trade association for ship operators, the International Chamber of Shipping (ICS), has announced that it will soon be publishing a new edition of the ICS Tanker Safety Guide (Liquefied Gas). 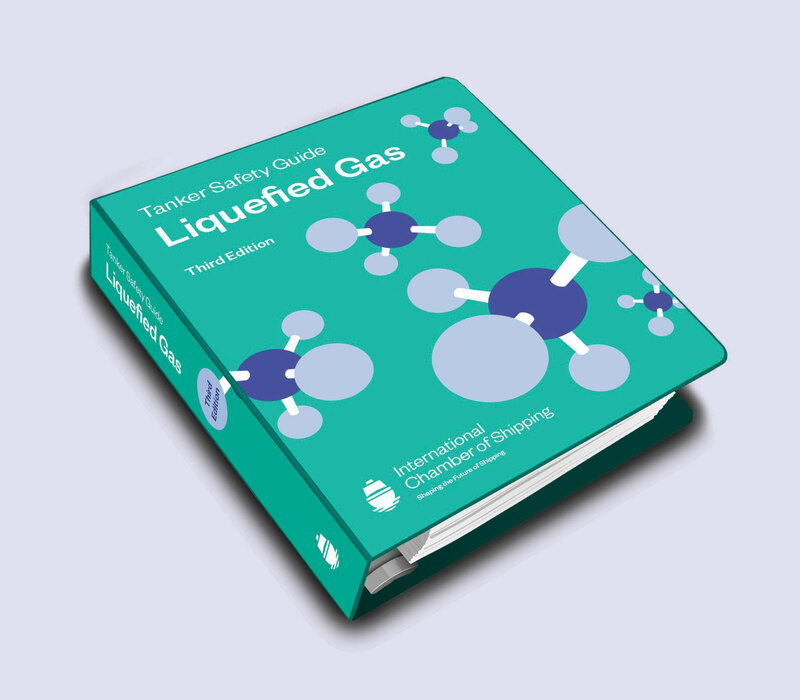 The ‘ICS Gas Guide’ is the definitive industry best practice guidance for gas carrier operators, and is a carriage requirement under the national regulations of many flag states. 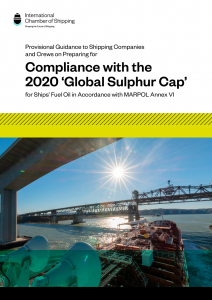 To assist shipping companies prepare for implementation of the UN IMO global sulphur cap for ships’ fuel oil, the International Chamber of Shipping (ICS) has produced – free of charge – some comprehensive guidance on implementation planning, to help ensure compliance across the shipping industry with this regulatory game changer. 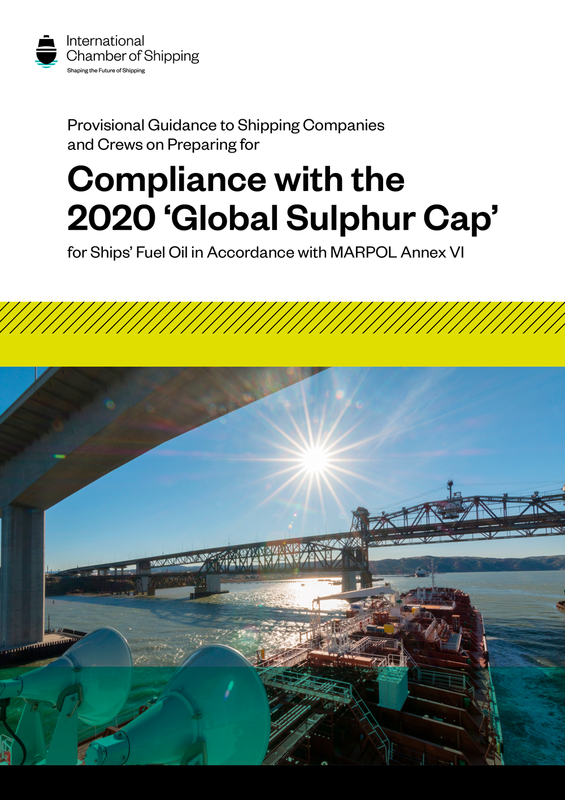 The free ICS guidance has been prepared for the vast majority of ships that will comply after 1 January 2020 using fuel oils with a sulphur content of 0.50% m/m or less. 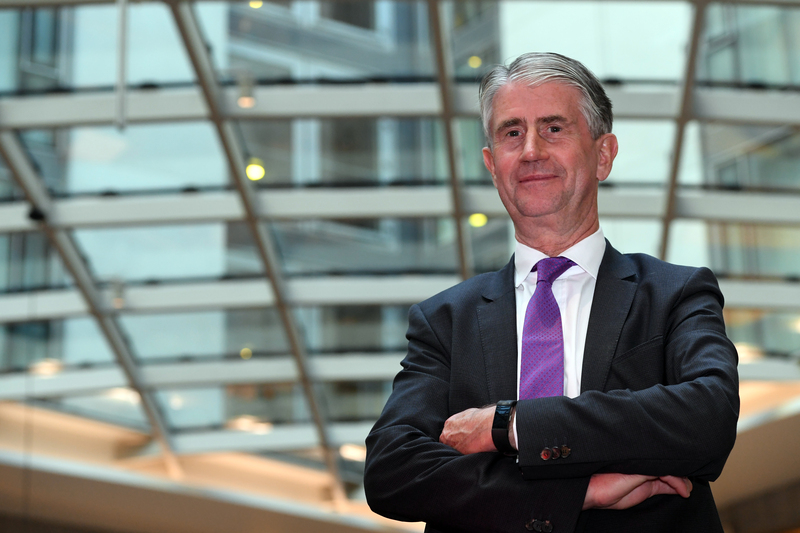 LONDON: SEPT 12TH, 2018: The 12-month countdown to what promises to be the largest and most successful London International Shipping Week so far, has started with the changing face of global trade and the opportunities posed, chosen as the key theme for the week. LISW19’s overarching theme International Trade in a Changing World will be supported by a series of sub themes: Growing; Innovating; and Partnering. 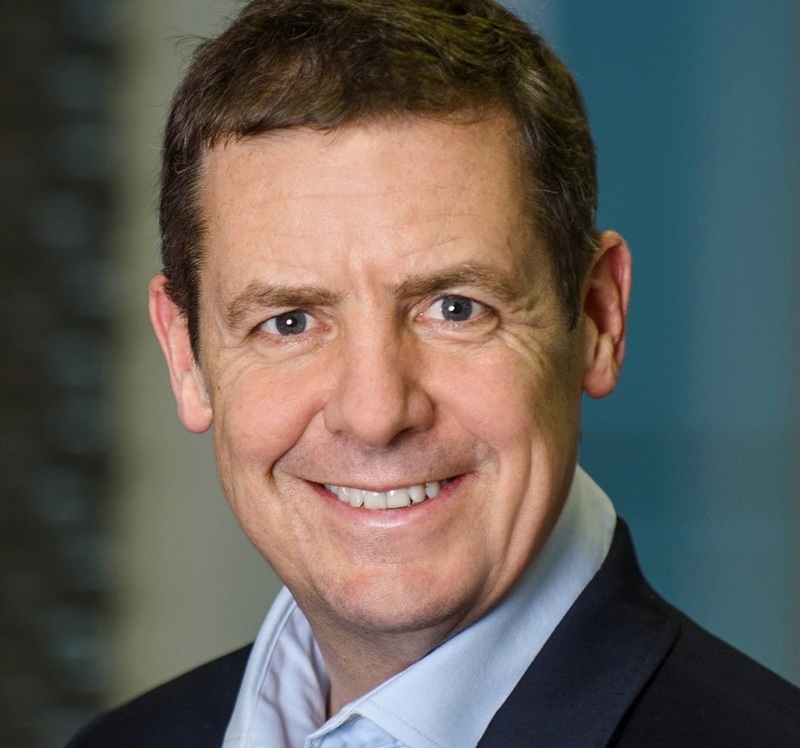 These will provide the backdrop to the flagship LISW19 conference to be held at the Grosvenor House Hotel, Park Lane on Thursday September 12th, 2019. 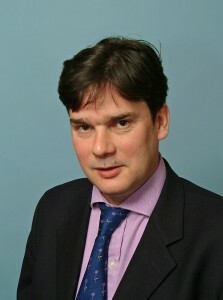 The themes may also be referred to by LISW19 Supporting Organisations and Sponsors wishing to hold their own events during the week. MIDDLETOWN, RI – August 30, 2018 – Singtel and KVH Industries, Inc., (Nasdaq: KVHI), a global satellite and maritime communications provider, today announced a partnership to provide shipping companies a seamless broadband satellite service with KVH’s mini-VSAT BroadbandSM satellite connectivity to help accelerate the digital transformation of the maritime industry across the Asia Pacific region. This satellite service is designed to facilitate the use of digital solutions in the maritime industry to significantly improve operational efficiency, crew welfare, and onboard safety. Vessels can leverage this fast and reliable connectivity to harness real-time data about engine performance gleaned from onboard sensors to facilitate preventive maintenance and reduce maintenance costs; obtain information on weather patterns and sea currents to determine the ship’s most fuel-efficient route; and provide onshore operations staff regular updates about the status of cargo. 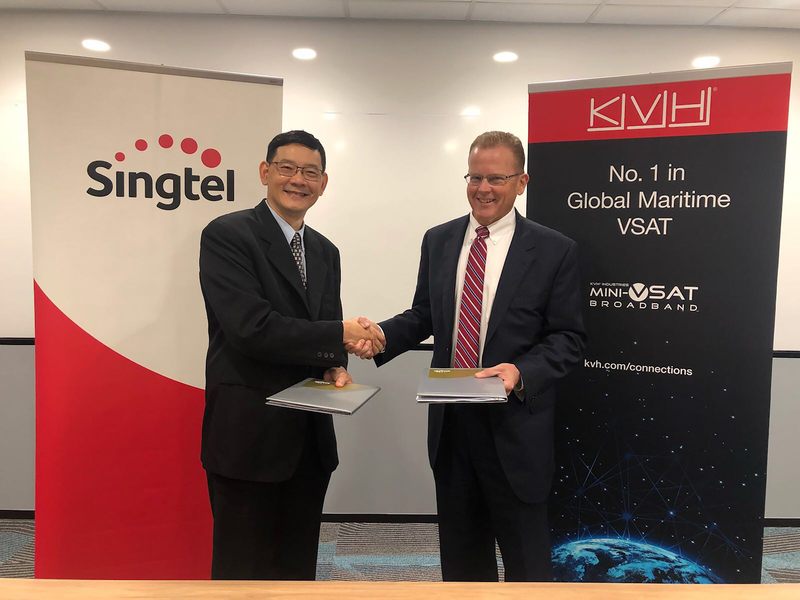 Through this collaboration, Singtel will provide its maritime customers with KVH’s product and service offerings, including AgilePlansTM, a subscription-based connectivity solution for commercial fleets. This all-inclusive, no-commitment offering includes KVH’s global connectivity service, VSAT hardware, and curated content with free installation in selected ports and zero maintenance costs. Singtel has been building digital solutions for the maritime industry including cybersecurity and IoT capabilities. Singtel collaborates with best in class partners to provide definitive solutions for secured IoT through the use of cutting-edge technology designed to help ship managers monitor and manage their fleet with greater efficiency.